It’s Groundhog Day… again.. and that must mean it will soon be time for February’s News Letter! Visionary Realms has bestowed a belated Valentine’s day gift upon us all to enjoy! In the Under Wraps section, Ben Dean (Producer, Pantheon: Rise of the Fallen) unwraps some of the efforts underway with animation, art, and programming. .. Project Faerthale is busy, visually speaking. 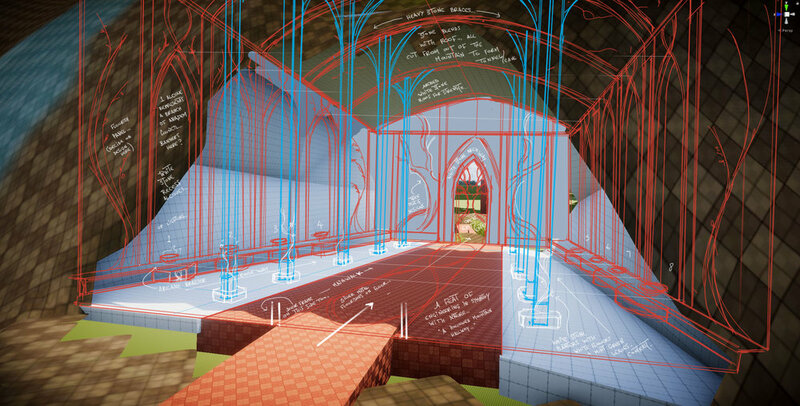 So even though we’ve roughly blocked out the zone for pre-alpha builds, we have a lot of refinement happening. 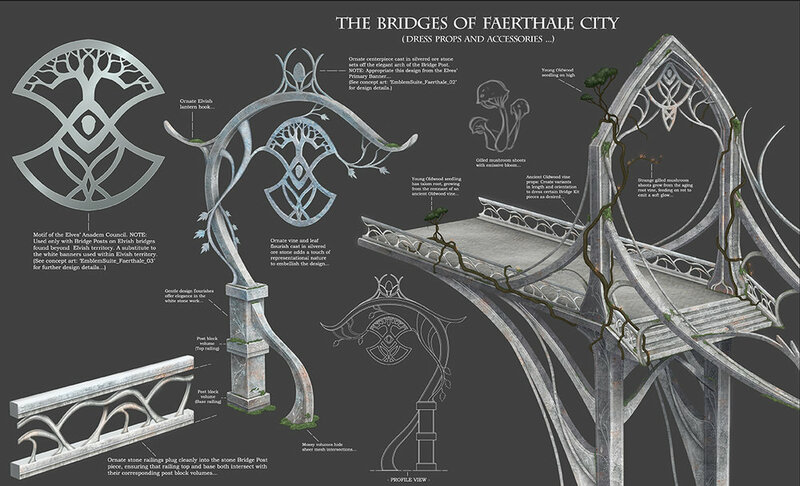 You can see in some of the concepts here how Faerthale is really taking on a life of its own..
Next Joppa takes us for another tour Behind The Design of Pantheon. This month we get to lean a little bit more about Atmospheres which players will experience in the game. We’ve already seen one of these Atmospheres called Gloom in some of the streams and it’s one which Joppa discusses in the newsletter. The Gloom atmosphere can be found permeating most Undead ruins, crypts, graveyards… places with a high concentration of Undead. This particular Atmosphere impacts players negatively and Undead non-player characters (NPCs) positively while in its area of effect. We also learn about something cool called The Artifacts..
By seeking and acquiring Artifacts. Artifacts are legendary rare items players can discover that offer unique utility. They are necessary to explore and overcome areas of the game where Atmospheres exist. In the Gloom example above, players would need to acquire and equip the Bone-Woven Veil to mitigate Gloom’s negative effects. The combination of Atmospheres and Artifacts really adds some great depth to this already rich and extremely well thought out game. It’s definitely not going to be a simple decision to go to a zone and fight what’s there. Knowledge of the potential Atmospheres encountered and how to mitigate them becomes a big factor requiring much exploration to gain the upper hand. But wait, there’s more! In a future Behind the Design, Joppa plans to discuss additional challenges adventurers will face.. The Climate! We’ve already seen some of this in previous streams involving a very windy, snow-covered bridge which required additional items to help deal with the extreme cold. Lastly, we are treated with a Q&A session with the big man himself, Brad (Aradune) McQuaid! The very first question contained something which is always reassuring. Aradune is in this for the long haul and has a lot of great plans and ideas to roll out for Pantheon. There are so many mechanics, systems, and ideas to try out but don’t necessarily make sense to until post-launch. In the past I’ve not been able to stay on these projects as long as I would have liked, but I’m all-in on Pantheon; here for the long haul and having a blast! In addition to learning about the origins of the name Pantheon: Rise of the Fallen and Terminus (quite interesting), Aradune covers a lot of ground around his role in overseeing the games development. He is certainly busy and dedicated to ensuring that “The Vision” is followed but he has also been very busy promoting the game and supporting the Pantheon community. ..but what comes to mind right now is just how important the community is. And more specifically, how incredibly impactful community support and faith in us has been. I know the team receives this all the time on forums, in direct messages, etc. I kept my Facebook account open and dedicated to the game and community, and the number of private messages I get that are full of support, kind words, and encouragement is amazing. We love working on Pantheon, but at times it gets tough. 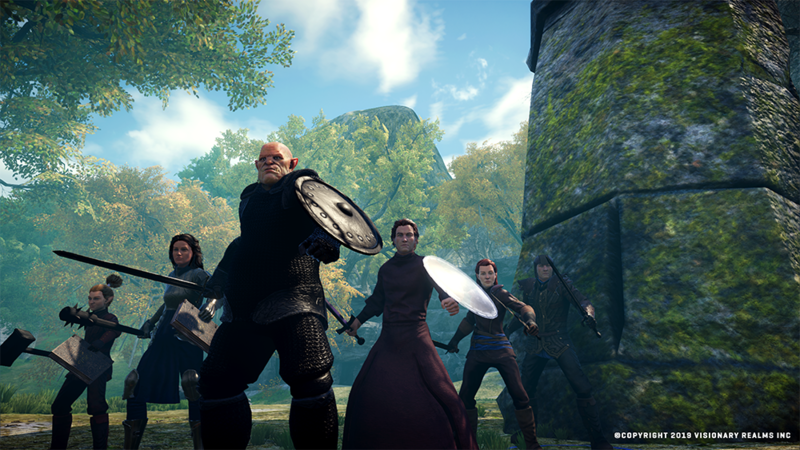 Making an MMO is not the easiest genre to tackle — in fact, it may arguably be the toughest. It’s so nice to see a new Youtube video pop up supporting the game and promoting the game when you’re feeling some of that pressure. Getting a PM on FB or Discord or Twitter has an incredibly positive effect on our morale, and we are very, very grateful. We are treated to quite a bit of game mechanics philosophy from XP bonuses for grouping, PvP, to power leveling (it’s ain’t gonna happen in Pantheon!) and it’s all something everyone should check out! I like to say that Pantheon is putting the E back into PvE. Traditionally, PvE simply means fighting NPCs. Pantheon is going beyond that in a big way. Our Perception System is crucial to all of this. You’ll be able to start quests and obtain critical information while exploring. In fact, you’ll need to explore and adventure in order to take part in many aspects of the game. Some MMOs are all about power leveling to the endgame. Why? There is either a perception or a reality that the real fun is at the higher levels. What do many players do in response to all of this? They sit in one or a few spots and power level, often with a higher level friend accelerating the process. This just isn’t going to work in Pantheon. Adventure and exploration are both rewarded and essential. I could go on and on about the fascinating stuff which Aradune discussed. It’s incredibly exciting and I can’t wait to get my hands on this game! I’ve already warned my wife to expect the following response to anything she asks me which requires that I stop playing.. “Okay, I’ll be there in 5 minutes..” Sigh, famous last words..
Don’t you wish you could do more to help speed Pantheon’s development? Well now you can! Head on over to the November ‘18 Pantheon Pledge Drive page and make a pledge! You will not only be helping the game but you will get a spiffy looking nameplate color in Pantheon! Time to give thanks for another eagerly awaited Pantheon Newsletter! This month they are serving up heaping portions of information starting with news about Pre-Alpha 4 and a new team member. Pre-Alpha 4 starts on November 25th and ends December 20th. That’s some great early Christmas presents for the Pre-Alpha testers! Ahh, Pre-Alpha, where you get to do more than watch a stream of someone playing Pantheon (you ACTUALLY GET TO PLAY!! .. I mean help test). Do you feel that you’ve missed out on the opportunity to help out with Pantheon? Fret not because for a limited time, pledges are open which will allow you to participate in Pre-Alpha. Linda “The Brasse” Carlson has also started consulting Visionary Realms on Community Relations so we will see her around. Hi Linda!! Also, more team members will be joining up in the coming months. You can help accelerate the new additions by heading on over to pledge some money during the November 2018 Pledge Drive. Oh, and check out these awesome new in-game models!! This month’s newsletter also includes a lengthly segment called “Behind the Design” where the Perception System is discussed in nice detail. You will have heard of and seen some aspects of the Perception System during streams and other discussions online. In short, it’s a unique and intriguing method of handling quests without following the usual linear fashion of MMQ quest engines. And to be truly immersive and expansive, the system would need to work with simple, mundane things as much as it did with grand points of interest. To make the game world feel like more than a line connecting two points, players need to always know that just over that little hill or around that tree could be a discovery that makes it worth looking. Lastly, there’s a taste of the lore of Pantheon written by Justin Gerhart titled “Tales from the Fire”. Give it a read! It’s a great appetizer for the coming main course! Things have been quite around here, too quiet! My cave creeper sense has been tingling in anticipation of a newsletter release.. and here it is! Pre-Alpha 3 was wrapped up last month and the team is hard at work to have all classes are ready up to level 40 for Pre-Alpha 4 later this fall. We are treated to a Q and A around a redesign of one of the playable races, The Skar. We were never satisfied with the initial rendering of the Skar, from an artistic or mechanical perspective. Those two areas of consideration are actually what prompted us to go back to the drawing board. The first attempt was a “shot in the dusk”, not total darkness. I love this quote from Jared Pullen..
Lastly we get the opportunity to see more of what’s under wraps with Pantheon’s development. This month’s focus is on one of the new, not yet seen city zones, Faerthale. The city is coming along and will be available during Pre-Alpha 4 testing. I really love the thought being put into developing this zone.. There are several unique experiences you’ll discover in the zone and each of them are expansive enough that it doesn’t make your adventures feel like micro-adventures. They’re also not so large that they feel empty. On top of it we need to ensure that all of the experiences in the zone fit into the overall zone thematically and practically. 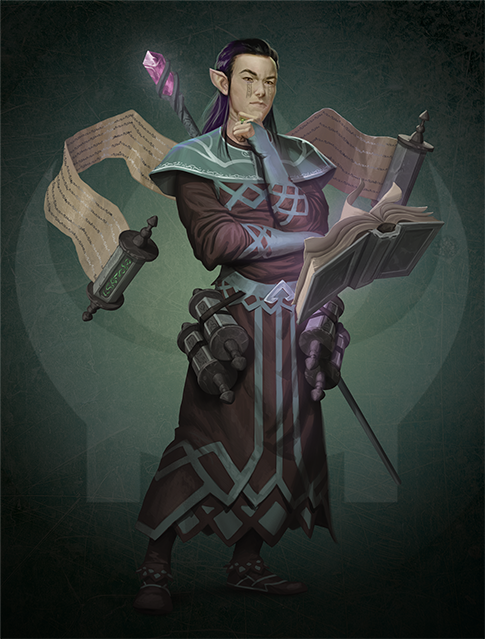 Speaking of Pre-Alpha 4, the team is hard at work finishing off all of the playable classes to level 40. This is a large order to fill when you consider what needs to be done around spells and abilities. It’s an iterative process and needs balancing against everything else in the game. An even larger portion of the design comes down to the spell and ability matrix. This is the heart of every Class as it defines what those Classes can do. A lot of time is spent going through these spells and abilities one by one and bouncing them off of each other. They need to work as a conceptional design but they also need to be realistic in terms of programming and they need to stay true to the overall style of the game. A lot of check and balance discussions happen over the spell and ability matrices. It’s an iterative process and needs balancing against everything else in the game. This is where testers come in and eventually post-launch players. It’s a process which never really ends! We’ll then test the classes with all of their new abilities internally in different scenarios and fix bugs and tweak balancing issues. We catch and fix a lot in this stage but it’s nothing like having hundreds of live testers trying thousands of things we could not account for. For that we are forever grateful to our PA testers. This balancing is a lifelong process as new players and new scenarios arise. So Classes are far from a fire-and-forget approach. Their growth and evolution will continue through Pre-Alpha, Alpha, Beta and well past launch. Joppa hopped into the Wizard forum to add to a discussion around the Wizard reveal recently made in the August newsletter. His post is definitely worth a read because it shows us how much thought is going into the game and how each class (such as the wizard) is not a mundane activity for players. There's so much more depth and more ways to play than the days of old.. The idea here is to answer the age-old problem of Wizards unloading a spell or two, then sitting down for the rest of the fight to keep Mana up. Now, Wizard's can stay meaningfully involved in combat through their Arcane school (damage, roots, stuns, etc.) and actually generateMana while doing so, building back up to another "burn" phase. Even cooler though, is the type of progression players can anticipate for their class as revealed through Joppa's next comment. I'm including the whole quote here because it's an awesome read. 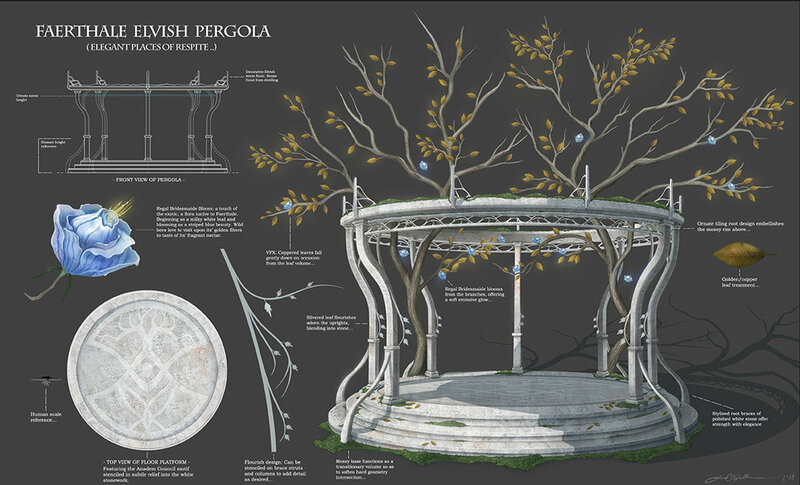 Definitely great to see this level of detail being put forth by the team on the Pantheon Forums! During the stream yesterday, it was mentioned that August's newsletter would be released on Wednesday 8th. We will post a link and summary when it goes live. Apparently it was also mentioned that the newsletter will have some Pre-Alpha-4 information. Good to see that testing is making progress! CohhCarnage mentioned on a recent Twitch stream that his next Pantheon stream would be taking place on Sunday August 05 at 2 PM EDT. Be sure to tune in and catch the action Live! UPDATED July 31 - VR released an official notice concerning this stream and it includes a great poster which shows that the Dire Lord will be a featured class for the stream.